RegisBuilt commenced trading in 2003, since then we had a vision…to become the premier self-storage building company in Australia and New Zealand. And since that time, we have managed to become just that. By setting the highest standards in the industry, we are truly “building the future of self-storage” through unsurpassed quality and service. We can assist you with site selection, feasibility studies, financing options, design and construction. RegisBuilt have construction teams that we have worked with on building sites for many years, that support the commitment to deliver projects on time and within budget.  At RegisBuilt, we believe our success can be attributed to one key element: the relationships we build with our clients. We go to great lengths to make sure we treat every customer and subcontractor as we would want to be treated. Perhaps, that’s why more than 80% of our business comes from repeat customers and their referrals. Anthony began his career in Structural and Civil Engineering in 1992, after spending several years in the Engineering design of various towers throughout Melbourne. Anthony was awarded the prestigious ASCEV Presidents award for Engineering Excellence, for his contribution to the Clarendon Towers. In August 2000 Anthony started his career in the Self-Storage industry and in 2003 Anthony began RegisBuilt. 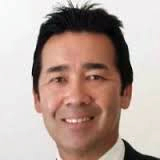 Anthony is the Managing Director of RegisBuilt and is a major shareholder in two storage facilities in Melbourne. In addition to his Engineering and Business qualifications, Anthony is a registered commercial builder in Australia and New Zealand. Anthony’s unique blend of site-based experience, technical knowledge and dedicated expertise in the construction industry’s complex accounting practices enables RegisBuilt to remain financially stable and viable. Anthony’s contribution to the building industry since 1994 has seen him excel across engineering, construction and management roles. . Anthony’s focus, commitment and hands-on approach is evident across every facet of construction from feasibility, design and estimating, to cost planning, business management and project delivery. Ken, started his working life as a Fitter & Turner with additional qualifications in industrial pneumatics and fluid power technology, which lead to him carrying out technical roles within a number of companies. This hands on experience benefited him enormously, when he transitioned to a technical sales role in 1999 within a company that provided lifts to the Self Storage Industry and managed key projects nationally. Ken has been in the construction and Self-Storage industries for over three decades. Ken’s extensive experience delivering large scale projects is well recognised. A results driven professional with widespread knowledge across various sectors, Ken maintains the highest standards of management practice ensuring projects are successfully delivered to all stakeholders expectations. Ken is and integral part of RegisBuilt and is the Project Development Manager, which allows him full involvement from initial engagement with clients to the hand over of the completed project. Darren’s hold’s formal qualifications in Business and Civil Engineering. He is a registered commercial and residential builder in most states and territories across Australia. Darren has been involved in a range of construction projects in the commercial, healthcare, leisure, multi-residential, education and industrial sectors, including aquatic centres, golf clubhouses and aged care redevelopments. Darren is highly accomplished and skilled in the commercial operations of the business as well as onsite supervision, dealing with sub-contractors, letting contracts and the tender process. Darren maintains the highest standards of management practice ensuring projects are successfully delivered to all stakeholders expectations. 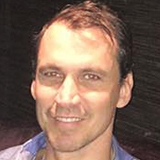 Darren oversees all major projects in Queensland and Western Australia. Our people are the source of our strength. We encourage individual initiative. Our products are the result of our efforts and reflect who we are. Our customers are the reason we have lasted over 20 years. They are the focus of everything we do. Until the customer is satisfied, our job is not complete. Change is not a destination, but a journey. We believe in continuous self renewal. We will conduct business at all times in a socially responsible and ethically correct manner. Regis Built offers the highest quality steel storage group of products in the industry. This means our buildings are virtually maintenance-free and worry-free for years. Regis Built can provide everything the facility owner needs from design to erection from a single source. Our insight over the past 20 years provides our clients with experience and knowledge about the best solution for you. The successful management of Regis Built and contractor safety involves Occupational Health & Safety requirements being fully integrated into every aspect of the construction delivery process. OH&S Initiatives The successful management of Regis Built and contractor safety involves Occupational Health & Safety requirements being fully integrated into every aspect of the construction delivery process. Regis Built has implemented a systems approach to OH&S Management that is integrated with our, recognising Best Practice standards. Regis Built has, in the past, and continues to participate in, a wide range of decision-making bodies that deal with OH&S. These include work cover and other professional bodies. The Regis Built corporate safety management system has provided the focus for the company’s successful management of OH&S on Regis Built projects. Prequalification requirements for OH&S are detailed by Regis Built, including those relevant to contractors and subcontractors. Design & Planning: A risk-based approach to hazard assessment of the design would be employed by Regis Built to reduce the risks of OH&S issues arising during the construction and post-construction phases of the project. Tender Selection Phase: Requirements for OH&S responsibilities and roles will be clearly detailed in all tender and contract documentation. Tenderers will be evaluated and weighted against objective OH&S criteria. An OHS and Level 2 first aid officer on site at all times. Ongoing safety training for site staff and construction workers. Risk Management Program: An innovative risk management program is being developed that will be utilised to assist in the management of OH&S risk. OH&S risk management training is provided to all Regis Construction Group on-site staff. Return to Work Co-ordinators: Regis Built has introduced this service to assist subcontractors to manage their injured workers and to ultimately assist subcontractors to improve their safety performance in order to prevent reoccurrences. First Aid Reporting System: A first aid reporting system is being developed that will more efficiently provide data for reference in developing project-based and company-wide OH&S training/programmes. Regis Built is introducing an awareness programme on this subject across all projects.